Shaquille O’Neal aka Shaq is a retired NBA star who apart from his amazing skills on the court was known and is still known for his gigantic physique. He played college basketball in Louisiana State University under Coach Dale Brown. His stature and impressive play caught the attention of the NBA and immediately he was drafted by the Orlando Magic as the first pick in the 1992 NBA draft. Shaq arrived in the NBA looking very athletic and well trimmed. Standing at 7ft1 in tall, Shaq drew attention because of his height. However, he isn’t the tallest NBA player ever, that title was snapped by Manute Bol who towered at 7ft7inch followed by Yao Ming who towers at 7ft6in. However, Manute and Ming may have both be taller, but Shaq had an impressive physique that was physically imposing, he was very active and fast regardless of his tall height. Shaq’s height and agility obviously gave him an edge over his opponents as he became the Rookie of the year 1992/1993. Dunking was also an easy feat as he could reach the basket without having to jump too high. His in field goal percentage of 58.2% ranks him as 3rd in the all-time NBA list. However, when Shaq left for LA Lakers in 1996, he gradually began growing out of shape. Fast-forward to 2004 and the once toned Shaq had added almost 100 pounds to weigh around 370 lbs. It turns out Shaq was intentionally trying to increase his weight to improve his stamina and extend his superior play as he was tired of getting pushed around the post in the off-season right after the Lakers won the championships. To achieve this, Shaq added more meat and potatoes to his meals and the fats began to accumulate, though he achieved his aim at first, the long-term aftereffects were unexpected. Shaq was doing little or nothing to help the situation as he continued to pay more dedicated visits to burger restaurants than he did to the fitness gyms. He was later traded to the Miami Heats where he worked hard to drop some pounds so he could get his game going. The weight notwithstanding, Shaq still had an above average basketball career that spanned almost two decades- his numerous accolades is a prove of that, not to mention his net worth of $350 million. However, some speculate Shaq would’ve achieved more than he did had he religiously kept his weight in check. His retirement in 2011, saw Shaq put on even more ponds. He transitioned into the media as a sports analyst and also became a businessman. Such gigantic body as expected is accompanied by a gigantic shoe size. 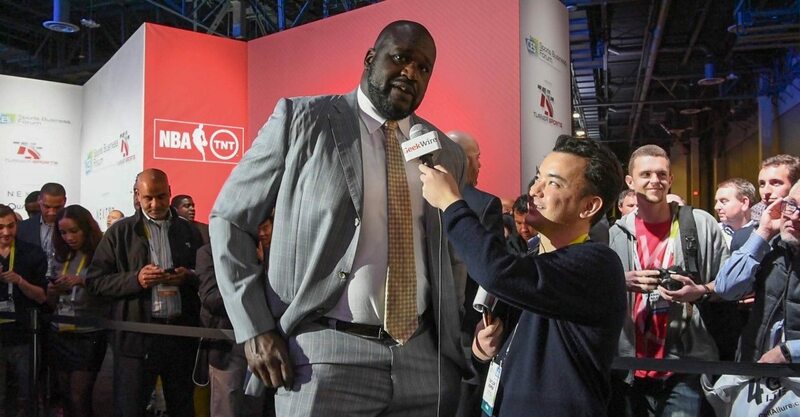 Shaq wears shoe size 22.